The weather might not be keeping up with months in the UK, but at Working At Height we do have a distinctive 'spring in our step', with the up and coming launch of our new Deskglider, we did toy with the idea of calling it the 'Deskglider Swift', as it is lighter and easier to use than our current model, which incidentally we were going to call the 'Deskglider +' as it can have all the options fitted if required, however we have simply agreed to stay with 'Deskglider' and will offer the model you will require, but we believe that 90% of all new orders will be for the new model. We are launching with a new product video that is currently being finished, new brochure and web page. 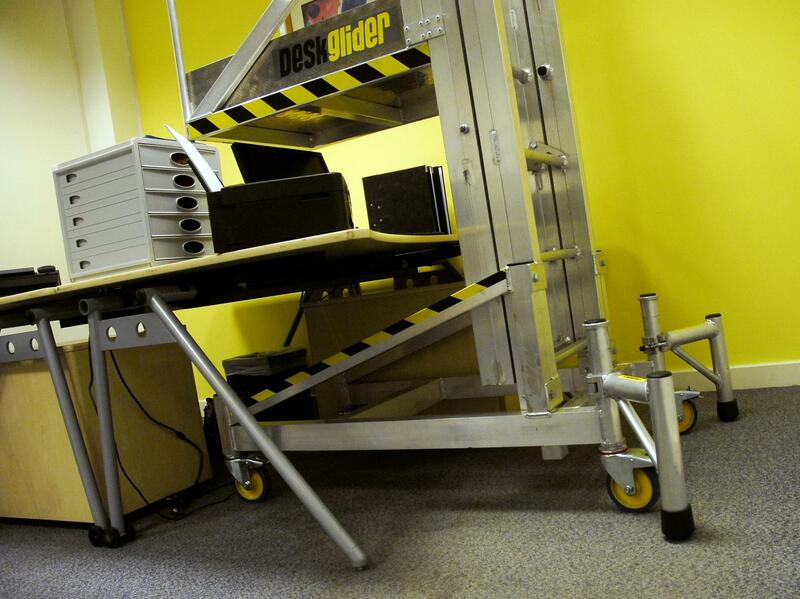 We shall keep all our customers updated and will of course send all relevant information on our all new Deskglider.